Welcome the Year of the Pig. Chinese New Year has been celebrated for thousands of years, in countries all over the world. People spend the last 15 days of the old year cleaning, preparing, and settling debts. On the eve of the new moon, a special feast is prepared. Then, the first 15 days of the New Year are spent celebrating with dancing, firecrackers, and parades. This year, Chinese New Year begins Tuesday, February 5. 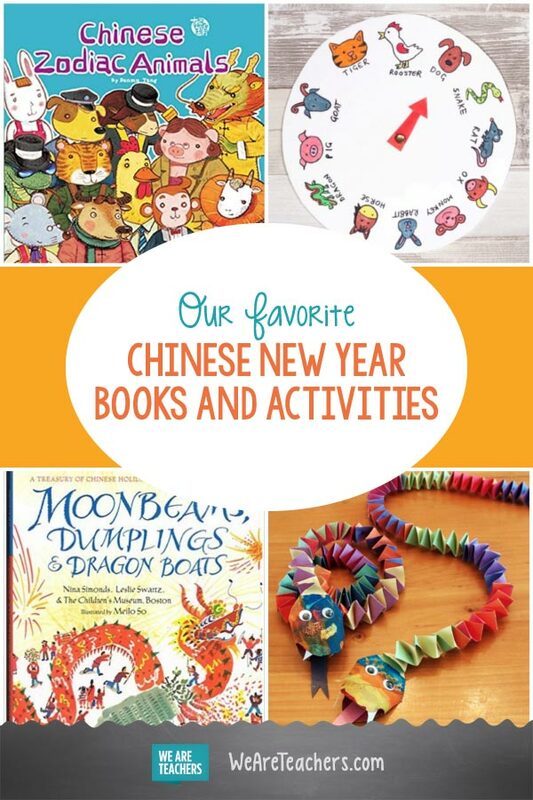 Here are some of our favorite Chinese New Year books and activities for the classroom. Just a heads up, WeAreTeachers may collect a share of sales form the links on this page. We only recommend items our team loves! 1. 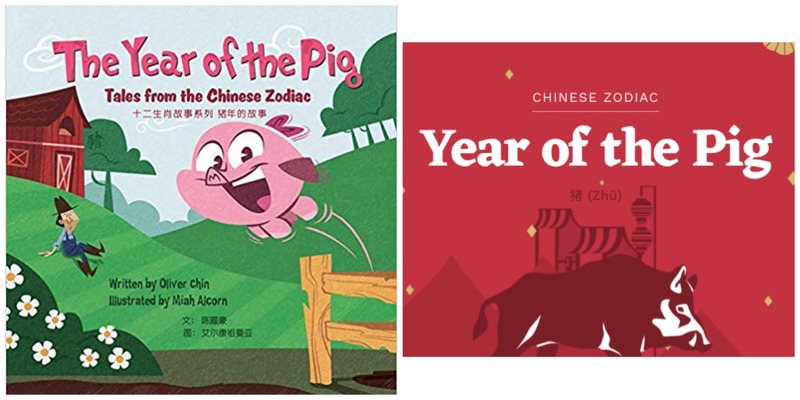 Read The Year of the Pig: Tales from the Chinese Zodiacby Oliver Chin and learn more about the Year of the Pig. The book: Follow the adventures of Patty, a sassy young piglet, as she discovers the characteristics that define those born in the Year of the Pig: intelligence, curiosity, sincerity and generosity. The activity: According to the Chinese 12-year animal zodiac cycle, the Chinese year beginning in 2019 is the Year of the Pig. Did you know in Chinese culture pigs are a sign of wealth? Or that men born in the year of the pig are gentle and optimistic and women are full of excitement? Send your students to this website and do some research to learn more fun facts. 2. 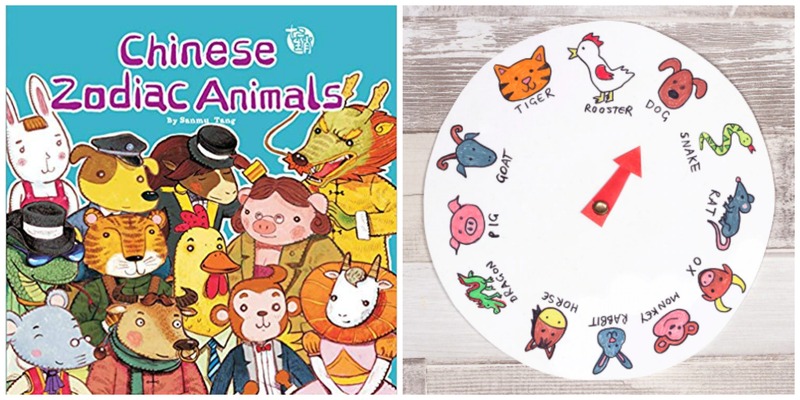 Read Chinese Zodiac Animals by Sanmu Tang and make these Chinese Animal Zodiac Clocks. The book: In traditional Chinese culture, some people believed that a person’s character and destiny were somehow decided by his or her zodiac animal. This story explains the traits of each animal sign and what luck the future might hold for the person born under that sign. The activity: Cut a large circle out of white card stock. Lightly sketch in 12 equally sized sectors, radiating from the center point (You will later erase the lines). In each ‘piece of the pie’ draw and label each of the 12 Chinese Zodiac animals. Attach an arrow made from red card stock with a metal paper fastener. 3. 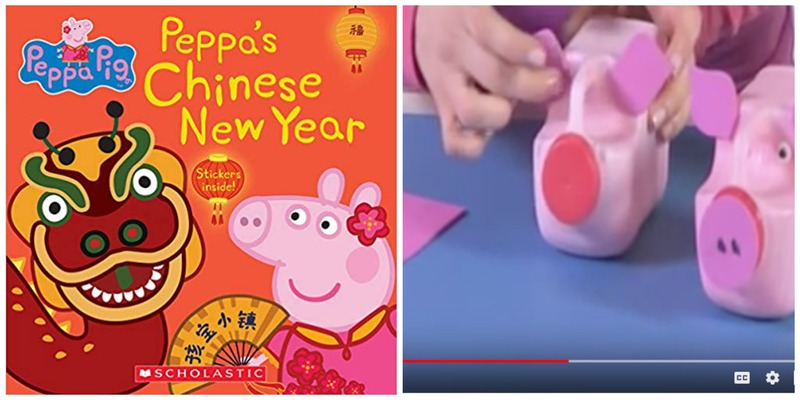 Read Peppa’s Chinese New Year Adapted by Mandy Archer and Cala Spinner and make these Recycled Bottle Pigs. The book: When their teacher tells Peppa and her friends that it’s time to celebrate Chinese New Year, they couldn’t be more excited! 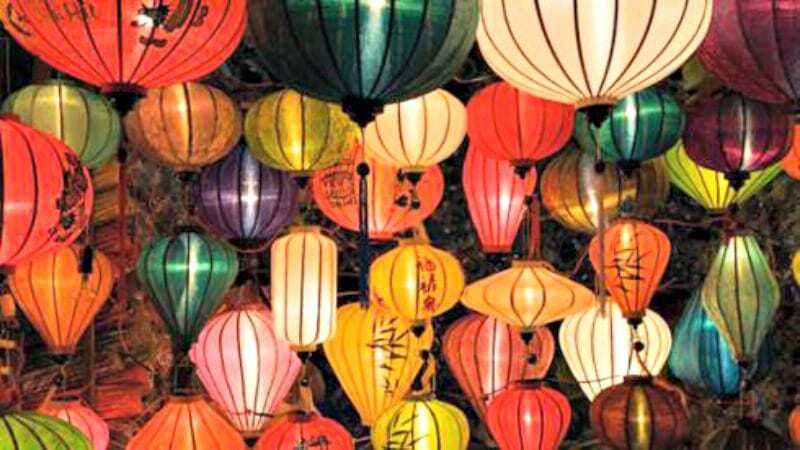 They have a blast hanging lanterns, eating fortune cookies, and putting on a dragon dance! The activity: This YouTube video shows you step by step directions for making your own pigs. All you need are plastic milk jugs, red and white paint and liquid glue, pink foam sheets, scraps of black and white foam sheets or googly eyes, a Sharpie and a hot glue gun. 4. 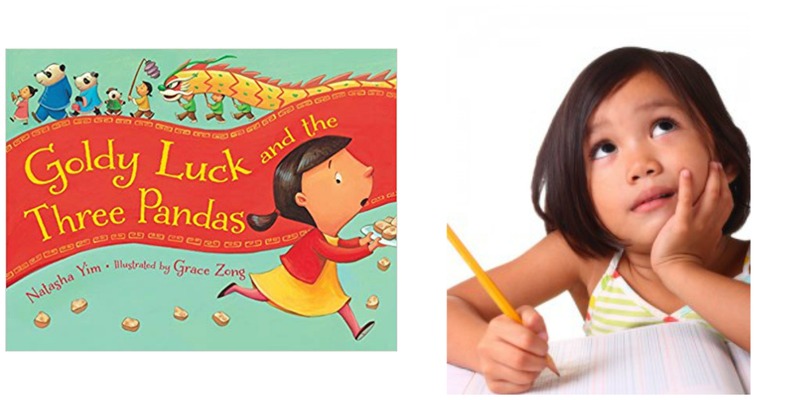 Read Goldy Luck and the Three Pandas by Natasha Yim and write your own versions of the story. The book: A clever Chinese American retelling of the classic fairy tale. In this version, clumsy and forgetful Goldy Luck is sent to deliver turnip cakes to her neighbor. She stumbles into the home of the Three Pandas and makes a real mess: Goldilocks style. The activity: Share this story and maybe a couple more modern retellings of fairy tales. Challenge your students to write their own fractured fairy tale starring a pig to honor the Chinese Year of the Pig. 5. 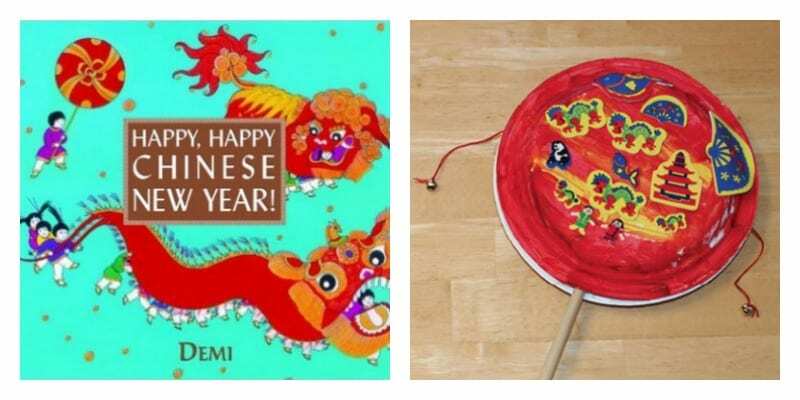 Read Happy, Happy Chinese New Year by Demi and make these Chinese Pellet Drums. The book: This delightfully illustrated book by Demi is a detailed celebration of the many exciting aspects the Chinese New Year. Infused with joy and filled with information! The activity: Create your own traditional Bolang Gu, or pellet drum. Used in Chinese ritual music, this instrument is a double-sided drum on a handle with two pellets connected to the sides. Play it by turning the stick between your hands so that the two pellets swing back and forth and hit the two drum heads. It’s tricky at first, but once you do get it, it makes a wonderful rhythmic sound. 6. 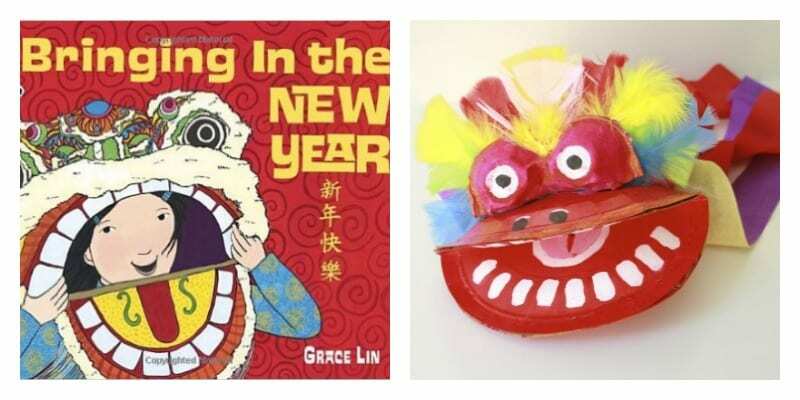 Read Bringing in the New Year by Grace Lin and make these Chinese New Year Dragon Puppets. The book: Newbery honoree Grace Lin peeks into the life of a Chinese-American family as they prepare for the Lunar New Year. Every family member helps sweep out the dust of the old year, hang decorations, and make dumplings for the great feast. Then it’s time to celebrate with fireworks, lion dancers, shining lanterns, and a great, long dragon parade at the end! The activity: The dragon is a colorful and important element of traditional Chinese New Year parades. Make this version with simple supplies, such as paper plates, paint, and sections of egg cartons with streamers flowing from behind. Attach the puppet to a dowel and lead a parade of your own! 7. Read Hiss! Pop! Boom! 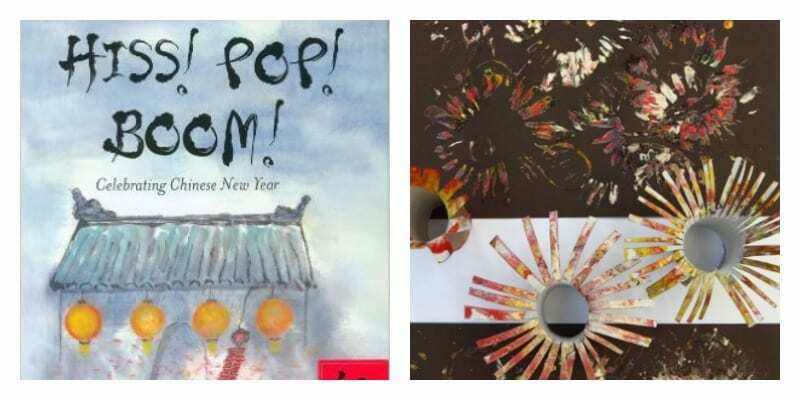 : Celebrating Chinese New Year by Tricia Morrissey and make these Easy Fireworks Paintings. The book: Beautifully illustrated with Chinese brush painting and elegant calligraphy, this story delivers the sights and sounds of the Chinese New Year celebration. The activity: Cut a cardboard paper roll into thin sections to form a simple paintbrush. Dip it into colorful paint and create a picture of dazzling fireworks! 8. 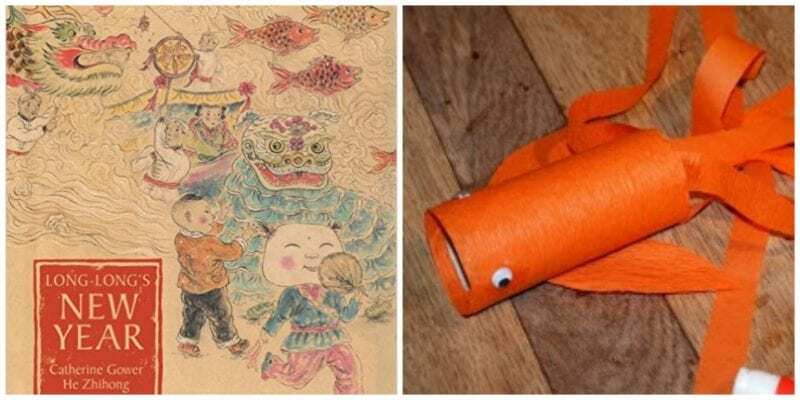 Read Long-Long’s New Year: A Story about the Chinese Spring Festival by Catherine Gower and make these Gold Fish Kites. The book: Follow along with Long-Long, a little Chinese boy from the country, as he accompanies his grandfather into the big city on an adventure to prepare for the Chinese New Year. The stunning illustrations in this book capture the look of everyday life in rural China and offer an introduction to Chinese culture. The activity: Crepe paper, googly eyes, and a paper towel roll are transformed into beautiful flowing goldfish kites. Add a string to the top and hang them from the ceiling of your classroom. 9. 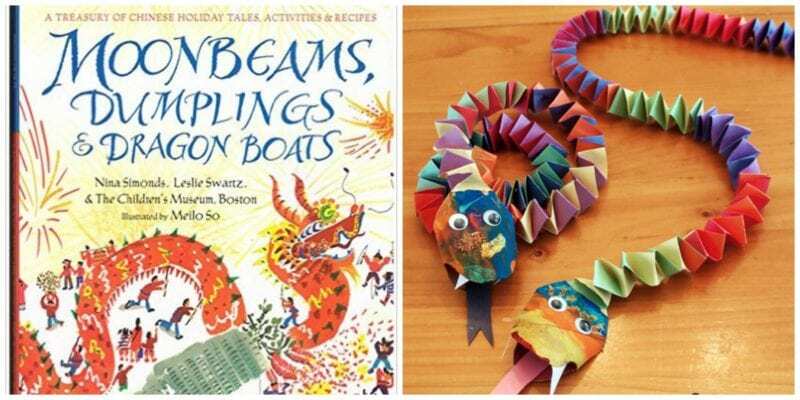 Read Moonbeams, Dumplings and Dragon Boats by Nina Simonds and Leslie Swartz and make these Chinese New Year Snakes. The book: This stunning compilation of fun family activities, delicious recipes, and traditional read-aloud tales is a celebration of the many facets of the Chinese New Year tradition. The activity: This craft is simple but requires patience (and fine motor coordination). Make the snake’s head from a cardboard paper roll. Add the googly eyes then fold long strips of construction paper to form the tail. What are your favorite Chinese New Year activities in the classroom? Come share in our WeAreTeachers HELPLINE group on Facebook. Plus, our favorite ideas for Black History Month and President’s Day.